Mike Ullery | Daily Call As harvest season draws near, vendors at the Piqua Community Farmers Market have tables full of fresh produce for customers to purchase on Thursday. As harvest season draws near, vendors at the Piqua Community Farmers Market have tables full of fresh produce for customers to purchase on Thursday. 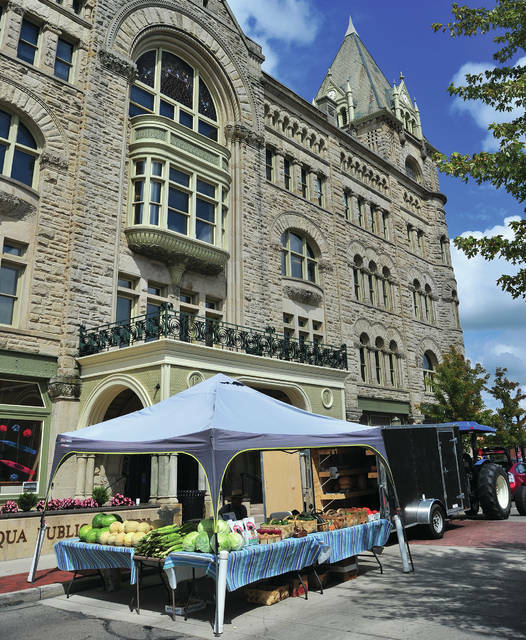 https://www.dailycall.com/wp-content/uploads/sites/30/2018/08/web1_083018mju_piqua_farmersmarket-1.jpgMike Ullery | Daily Call As harvest season draws near, vendors at the Piqua Community Farmers Market have tables full of fresh produce for customers to purchase on Thursday.